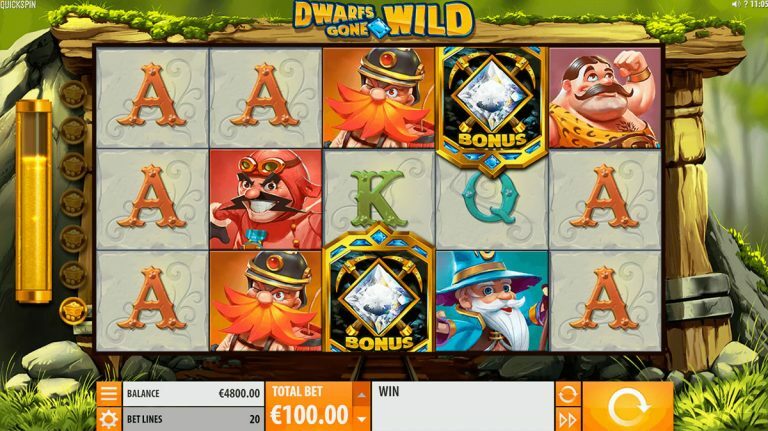 Dwarfs Gone Wild Slot Online ▶️ Play for Real Money or Try for Free! Dwarfs Gone Wild, a slot game from Quickspin, brings a fun new twist to the many fairytale-themed games available online. This 5-reel, 20-payline adventure video slot game is inspired by the classic fairytale of Snow White and the Seven Dwarfs by the Brothers Grimm. You are sure to fall in love with the game’s eccentric theme and will instantly relate to the classic and new characters while you enjoy a range of in-game features. 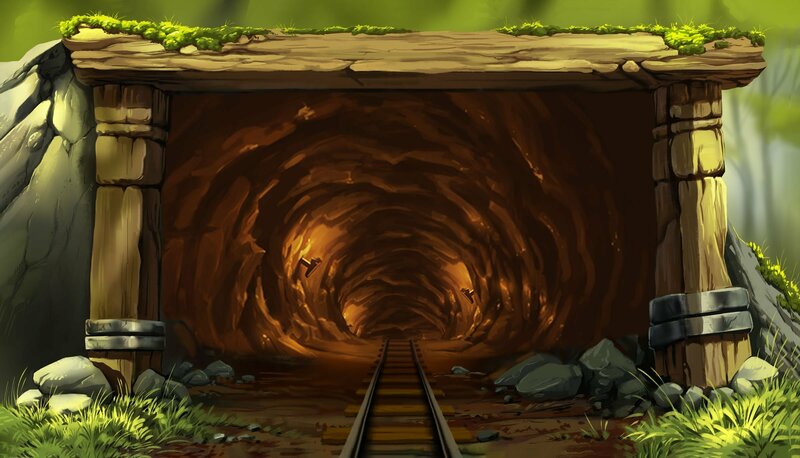 With a mine shaft as its setting, each of the seven dwarfs, and Snow White, possesses their own unique feature which makes for some highly explosive gameplay. Want to know more? Let’s go on an adventure with some of the most beloved children’s story characters! All of the characters from the fairytale are ready to take you on a feature-rich and action-packed trip down their mine shaft, including Grumpy, Happy, Doc, Sleepy, Dopey, Sneezy and Bashful. There are also some new characters too. This game is an engaging and dynamic slot, but before you journey down the mine shaft with your favorite characters, here are some of the features you can expect. With Dwarfs Gone Wild, there is always something happening to ensure that you are always engaged. This feature-packed game offers you plenty of interesting features within the free spins rounds. The first major feature to take note of is the Golden Minecart Bonus Meter, located on the left of the reels. Golden Minecarts unlock special Dwarf features when the Golden Minecart Free Spins are triggered. To fill the bonus meter, you simply need winning combinations with Dwarf symbols in them. When the meter is full, an additional minecart is awarded. To give you a head start, when you begin playing, the meter is already 75% full and you have 1 minecart. A maximum of 7 minecarts can be earned. The next feature to keep you winning more is the Magic Mirror Feature. This is activated whenever the Magic Mirror lands in any position on reel 3, which can only happen in the base game and adds 300 Snow White symbols, plus 2 respins. Among the symbols you will find on the reels of Dwarfs Gone Wild are Snow White and the seven dwarfs. Additional symbols include the banker, huntsman, racer, diamond, strongman, wizard and the diamond scatter symbol. There are also lower-value symbols being Q, K, A. The Dwarfs Gone Wild game logo and the Snow White symbols are the top-paying symbols. Dwarfs Gone Wild does not have any standalone bonus feature, but interestingly, the bonuses are closely tied to the game’s free spins features, explained in more detail below. There are seven bonus dwarf features which are unlocked when you play the free spins. Golden Minecraft Free Spins Bonus – this is triggered by getting 3 Bonus Scatter symbols and awards 7 free spins. The bonus scatter symbols only appear on reels 2,3 and 4 in the base game. The number of Golden Minecarts earned in the base game (as explained earlier) determines how many free spins bonus features that are awarded. The awarded Dwarf feature is indicated by an icon that appears above the reels. Rolling Wilds – with this, wilds are placed randomly on reels 3,4, or 5. With every re-spin, the wild moves over 1 position to the left. Spreading Wilds – this places one wild symbol, which then explodes and results in an additional 2 to 4 wild symbols in adjacent positions. Full Reel Wilds – hold on to your seat, because this feature fills up to 2 reels entirely with wilds. Free Wild – as you may have guessed, it awards you a free wild, but the game makes sure to put it in the best position possible on the reels. Extra Free Spins – yes, more free spins. You will receive between 3 – 5 extra spins. Win Multiplier – that’s right, to boost your winnings, you can win multipliers of 2x, 3x, or 5x. Dwarfs Gone Wild does not have a fixed jackpot, however the top paying symbols, being the logo and Snow White, payout 60X your bet for 5 symbols. The game is also not linked to any progressive jackpot. The big wins in this game come from the features within the free spins rounds. The game has 20 paylines. There is no option to set the number of paylines. The total bet amount is per round for all the lines. Dwarfs Gone Wild’s theoretical Return to Player rate of 96.38% is quite respectable. Dwarfs Gone Wild falls squarely into the category of medium volatility. While fairytale-themed slots are fairly common, Dwarfs Gone Wild switches things up thanks to the new take on the theme and incredibly dynamic gameplay. More than anything else, the wins are worth taking the time to spin. This slot game is not just entertaining, but also potentially lucrative.